Eighth place winner in the Best New category in the 13th Annual Best Restaurants Awards, The Nash is a cozy restaurant in the heart of Inglewood that serves gourmet comfort food. On the bar: Hardwood and charcoal rotisserie. Sunrise Co-op free-run chicken with panisse, black garlic and charred corn. From a seedy hotel in Inglewood has sprung a statement restaurant, dishing up the signature gourmet comfort food chef Michael Noble is known for. 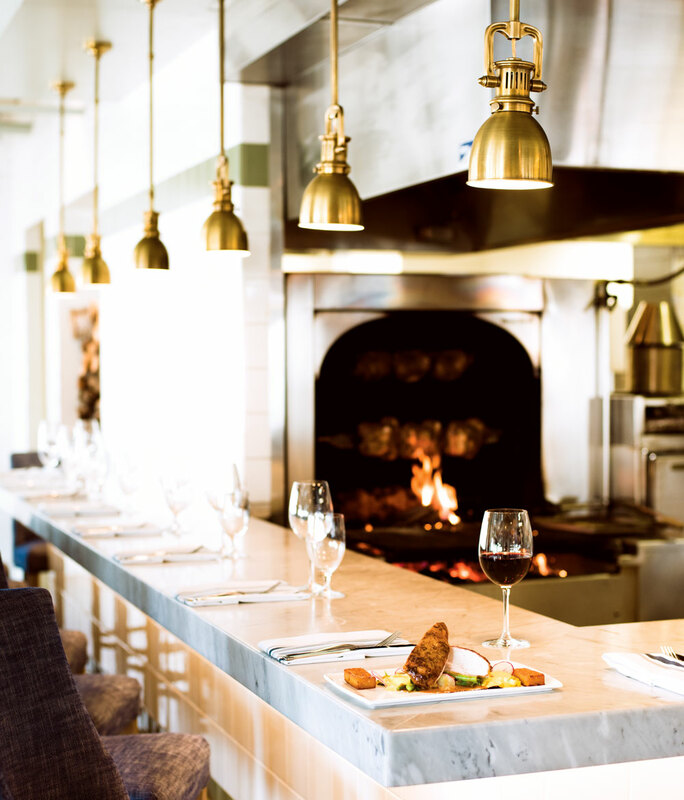 There are some similarities between The Nash and Noble’s other restaurant, Notable, in Montgomery – the deeply flavoured chickens rotating in the large rotisserie oven and a menu offering contemporary takes on classic dishes that soothe the soul while tantalizing the tastebuds. Even so, The Nash has a personality distinct from Notable. The dining room is bright and airy, modern with touches of a bygone era and decor that nods to the room’s history as part of the National Hotel. The menu, too, has its own personality as, alongside Noble, executive chef Matthew Batey does his own take on the hearty flavours and comfort foods. Classics such as duck, lamb and pork all make an appearance, but the accompanying flavours take those dishes to new heights. With an ever-changing burger offering and set menus for Sunday night family style dinners, The Nash has a cozy, welcoming feel.